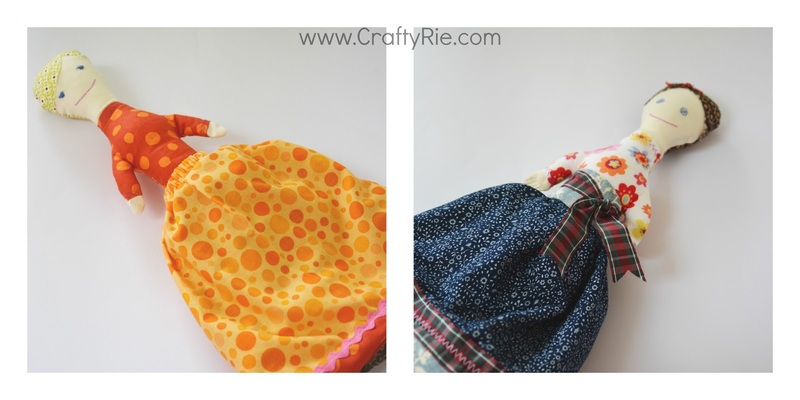 My lil Laney turns 3 this weekend and I wanted to make her another doll but not just any doll but a doll with a secret! ..what is the secret? She is a Topsy-Turvy doll! I didn't use a pattern, I just kinda went with the flow. I used the template that I drew for the Elsie doll that I made her for Christmas last year and modified it for this. I'm totally surprised that the doll worked, as I was just going from a memory of a topsy-turvy doll that I had as a kid -- did you have one too? 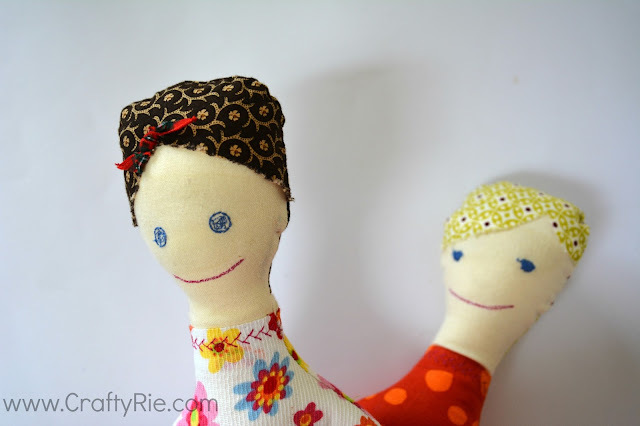 If you want to make a topsy turvy doll and you don't want to 'wing it' like I did, never fear as there are some awesome Topsy Turvy Patterns here and here!